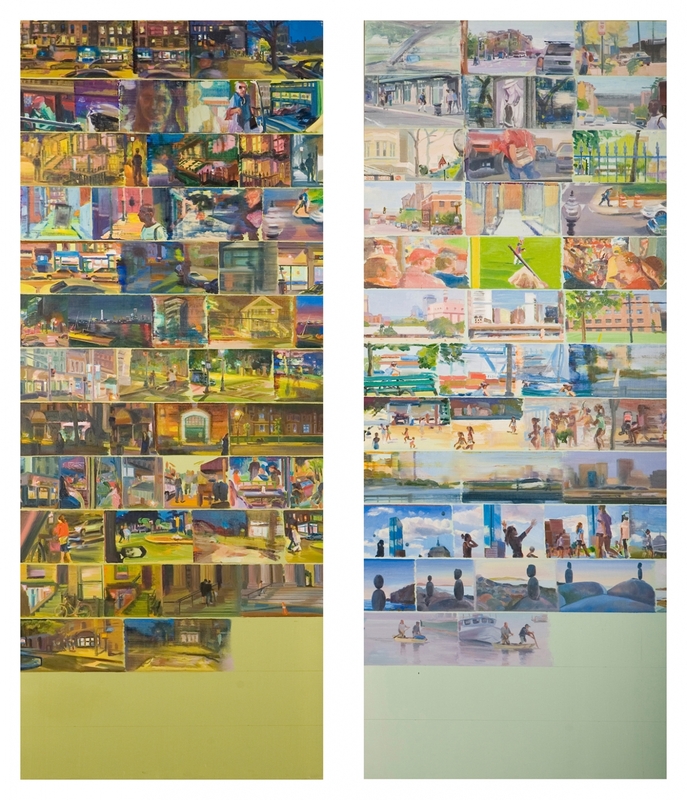 Michelle Brown holds a BFA in painting from Massachusetts College of Art She has exhibited her work throughout New England Print and screen images spark the narrative themes that make up these diptych paintings. Similar to a stream of consciousness mode of writing these “story boards” unfold by associative leaps and juxtapositions. Each painting begins with ruling lines. The amount of space between lines, length of image and sequence, repetition are some of the formal decisions that determine the degree to which things move and become animated or remain still. These paintings reflect time spent with art books, film stills, contemporary media and personal photographs. There are dramas to be gleaned, society to be contemplated, experience to be expressed. The process of stringing imagery together, of weaving the personal with the collective; slows down the continuous flow of images and interrupts consumption. Painting can reward sustained attention in this technologically saturated time. These aim to evoke and not make explicit and encourage to viewer to interpret freely. 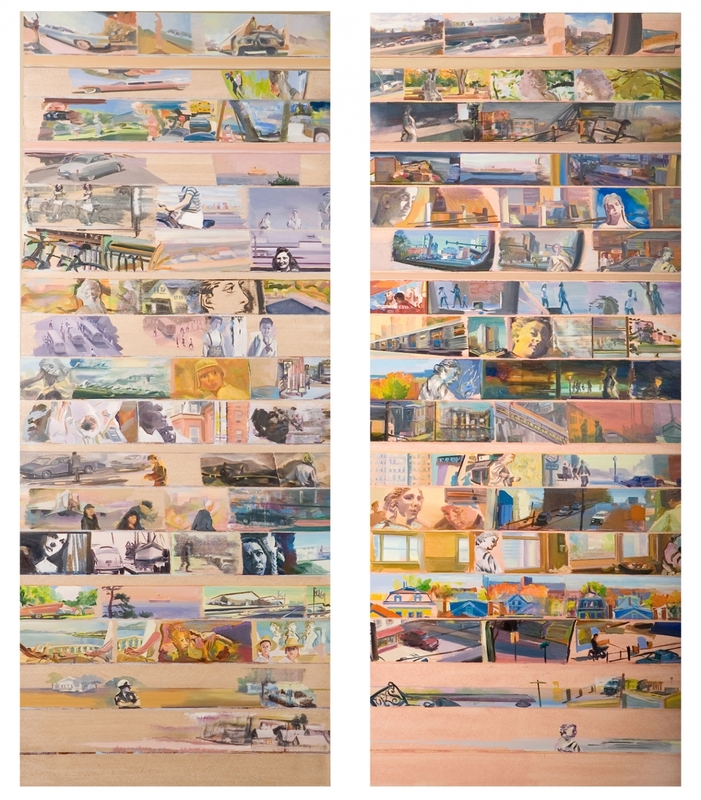 All of the below paintings are oil on wood diptychs 50×60″.